Managing MIL: You and your Mother-in-Law - for better, or for worse? Does your mother-in-law drive you crazy? Who is to blame? It can be difficult to tell when you are stuck on the inside. Managing MIL offers new perspective on this infamously tricky relationship. Katy Rink's irreverent, humorous and essentially warm-hearted reflections are based upon her own experience and secret 'DIL Clubs' held for daughters-in-law. Written as a series of short sketches, with accompanying cartoons, it is a perfect gift for anyone getting hitched, or struggling with a difficult MIL, or perhaps for a MIL seeking insight into her daughter-in-law's behaviour. 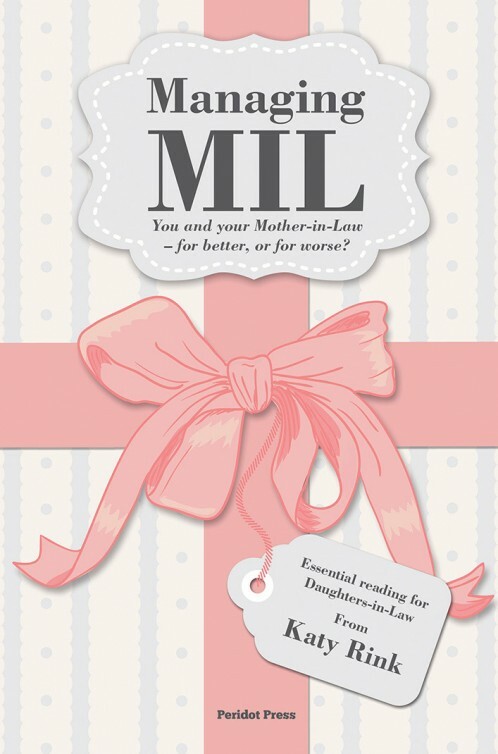 There are hilarious anecdotes and one-liners, amusing and recognisable caricatures, strange habits, odd gifts and top tips for managing MIL, along with interviews with relationship experts, to help you get back on track. There is even a delicious new cocktail 'The Mother-in-Law', complete with bitters and sours. Katy Rink is freelance writer, contributing articles about family, parenting and lifestyle to national newspapers including the Guardian and Telegraph. You're reviewing: Managing MIL: You and your Mother-in-Law – for better, or for worse?